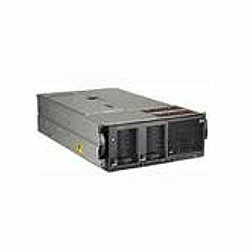 Product Description: The IBM Feature Code 5877 is a 12x Input/Output Expansion Unit without Disk Drives and is used in IBM POWER6 E4A, E8A, EMA and MMA Systems. The IBM 5877 I/O drawer is a 4U high, 19-inch I/O drawerfor IBM Power 750 Express server systems to enhance server expandability and connectivity capabilities. The IBM 5877 expansion unit comes with 10 Peripheral Component Interconnect Express 8x I/O adapter slots and does not contain any disk drives. Check with us for full hard drive compatibility or send us your requested configuration. Maximum Midrange guarantees each new, used or refurbished IBM 5877 with a full warranty. All IBM 5877s and its peripherals are eligible for IBM or third party maintenance. Along with a full warranty, we can also offer hot spares to keep on site to eliminate any down time.